ARES’ MCR® Sub-Carbine has a 3-second quick change barrel system and a left-side folding stock assembly that telescopes for adjusting the length of pull. The charging handle is ambidextrous and interchangeable with standard AR15/M4 charging handles to suit user preference. Suppressor capable and able to be fired with the stock in any position, the MCR® is a clear step above many of the folding stock and telescoping PDW options in the marketplace. Critical Sub-Carbine components are billet machined from aircraft grade alloys and heat treated to exacting specifications for durability and long weapon life. Aluminum components are Type III, Class 2 hard-coat anodized to MIL-A-8625F for maximum corrosion and wear protection. Furthermore, all ARES Defense products are 100% Made in U.S.A. with US materials and workmanship. 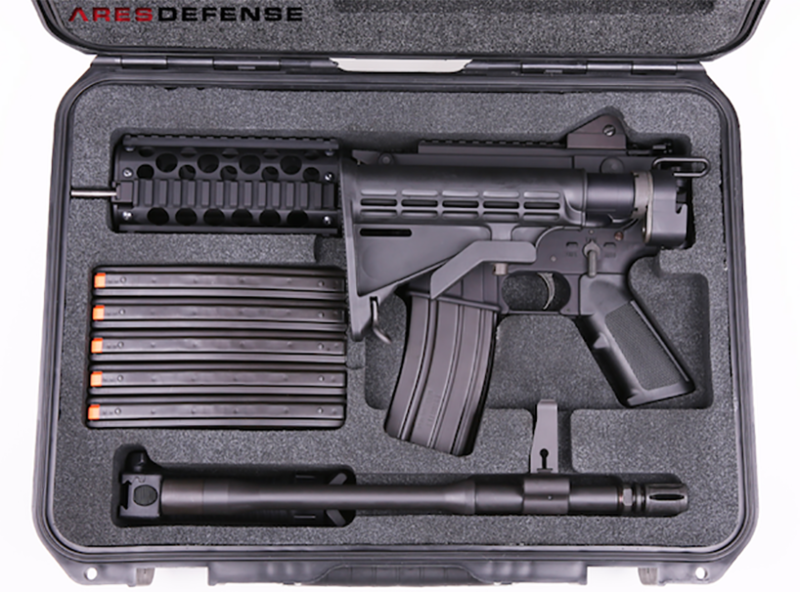 MELBOURNE, FL, September 23, 2015 ­ ARES Defense Systems, the country’s leading manufacturer of innovative, mission-configurable firearms, parts and accessories announces that it is now shipping its patented MCR® Sub-Carbine to the US commercial market.